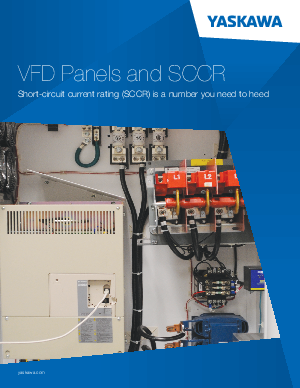 If ignored, the short circuit current rating (SCCR) of an industrial VFD panel might just go away, meaning the panel may self-destruct when a short circuit event occurs. Energy has to go somewhere, but it is the unpredictability of what will happen first that makes an insufficient SCCR so dangerous. The circuit breaker might explode while trying to open or not open at all because the internals have welded shut. What happens then? Maybe the energy will find a path to the ground and a shock hazard will be created. What will be discussed in this article not only applies to VFD panels but to all industrial panels.